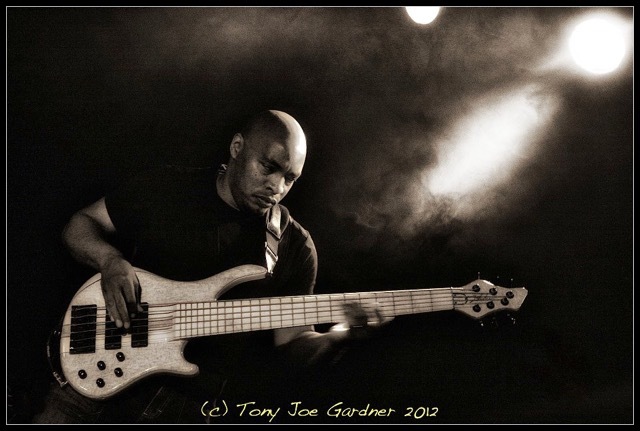 Bassist Roger Inniss (above) is the second Curator announced by the British Blues Exhibition, following Paul Lamb. Aspects of the British Blues Exhibition will have Curators with particular relevant experience and expertise. The role of a Curator will be to help build relevant content in the British Blues Exhibition and to act as a spokesman in their field of knowledge. 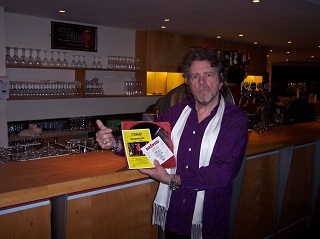 Roger has been at the heart of many a fine British and overseas band for several years, and is currently touring with Laurence Jones. The Crawdaddy Club, Richmond, hosted a live album launch for Birdwood, a band made up of some of the people in British Blues with serious history – and a serious hunger to play the Blues and have fun doing it. The British Blues Exhibition interviewed vocalist Ali MacKenzie and Derek Griffiths and captured a hint of the music and the introduction to the members of the band. Prominent in the history of the two interviewed are people including Ronnie Wood, Art Wood, Chuck Berry, Chubby Checker. Advice offered by Sister Rosetta Tharpe was especially notable. Listen here. Jon Lord, the Artwoods, Mike Cotton Sound, Ronnie Wood, Colin Blunstone, Keef Hartley, Dog Soldier, Theatre, Art Wood, Art Wood Combo, West Drayton Community Centre, The Who, The Birds, The Rolling Stones, The Pretty Things, Denmark Street, Eel Pie Club, Derek Griffiths, Ali MacKenzie, Chris Parren, Rocky Horror Show, The Strawbs, Jim Diamond, Keith Grant Evans, Downliners Sect, Mark Freeman, Chubby Checker, Dave Berry, Chuck Berry, Chuck Berry London Sessions, 100 Club, Sister Rosetta Tharpe, Radio Caroline, BBC Radio One, The Move, Tony Blackburn, Miles Davis, Charlie Parker, Motown, and The Everley Brothers. Connie Lush, one of the premier vocalists in British Blues, has confirmed her support for the British Blues Exhibition. She has done so memorably by contributing one of her trademark hats for display at the exhibition. In the photo above Mike Rivers of the historic Crawdaddy Club in Richmond, tries it on for size. Read more about Connie in her page here. 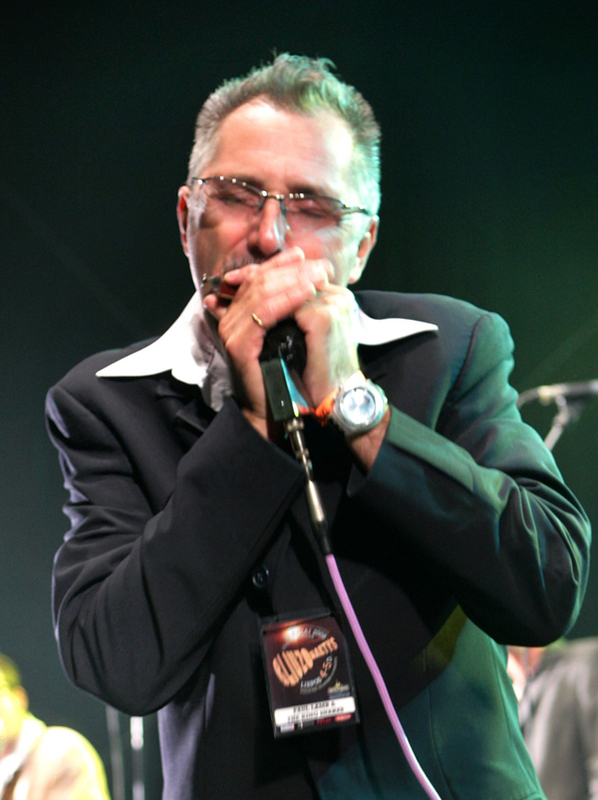 Harmonica maestro Paul Lamb (above) is the first Curator announced by the British Blues Exhibition. 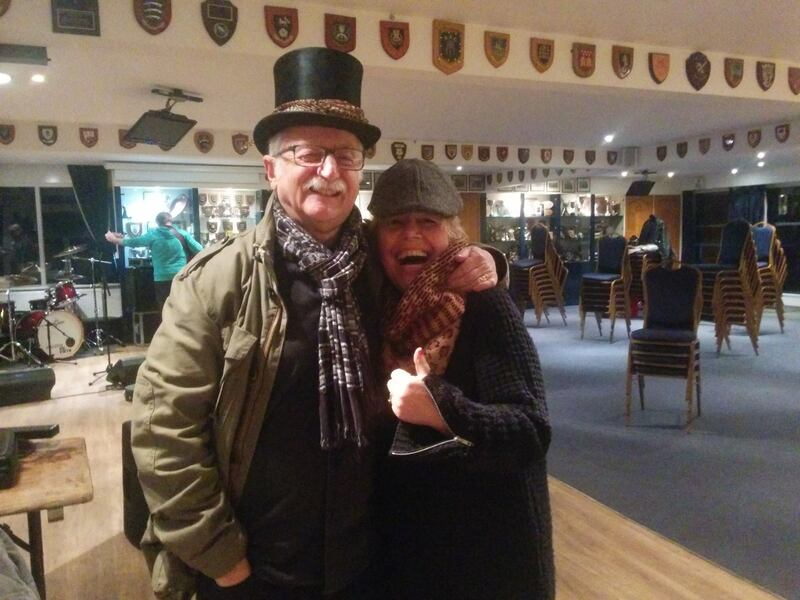 Paul, who has been a highly respected part of the British and world Blues scene since the 1960’s, is a firecracker of a performer, with his band Paul Lamb and the Kingsnakes. He has already spoken on the American Music On The Couch broadcast for the Exhibition in 2015.